Happy 93rd wonderful birthday Tun M! No stopping Dr. Mahathir as he turn 93 on Tuesday. July 10. And his stamina in his duties as Prime Minister continues to fascinate Malaysians and foreigners alike. Many were keen to know what has kept him going, so much so that a photograph of him having a meal with a particular multivitamin product on the table, drew much attention. There were reports that that particular brand was soon out of stock at pharmacies. Dr Mahathir was ever willing to share what made him tick, stressing the importance of keeping an active lifestyle even after retirement age. “I would prefer to rest, of course, but I would like to advise people not to rest when they grow old,” he told Bernama when queried during a recent trip to Tokyo on how he remained healthy. 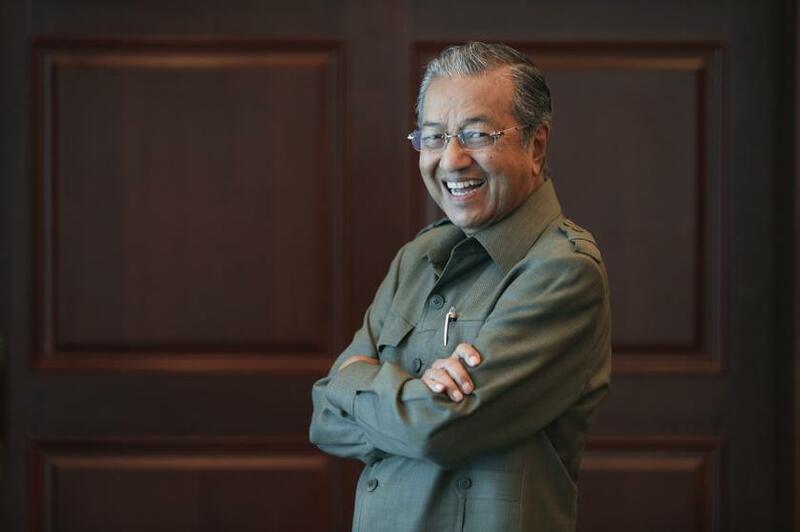 Dr Mahathir, who has the distinction of being the oldest prime minister in the world, explained that muscles would deteriorate if they were not used. “If you lie down all the time, the muscles (eventually) cannot even carry your weight, you cannot stand, you cannot walk. "So it's not good when you are old (that) you just lie down and do nothing,” he said, pointing out that it was the same with one's brain. “If you don't use your brain, you don't think, you don't solve problems, you don't read, you don't write, the brain regresses and you become senile...so always be active,” said Dr Mahathir, who was born on July 10, 1925.